Lehigh defense makes the largest expanding hollow points on the market. Their Maximum Expansion hollow points have set a new standard to which all hollow points will now be compared.The 45ACP round measured 1.31 inches. These are excellent home defense rounds. We recently did a review of this ammo and let me tell you, it is very impressive stuff. From our Beretta M9 our chronograph average was 1458 ft/sec which is 545 ft/lbs of muzzle energy. 357Sig ballistics from a 9mm cartridge. What is even better than that is the cost. 26 bucks for 50 rounds. Half the cost of other premium hollow points. Buffalo Bore - Barnes lead free 44 MAG. his is a very accurate, full power 44 Mag. lead free load. It will work well for game animals up to about 350 lbs. Since the light weight bullet develops low recoil and very high velocities, it should serve extremely well as an anti-personnel/defense load. Introducing the Advanced Armament Corp. 300 AAC Blackout (300BLK). This system was developed to launch 30 caliber projectiles from the AR platform without a reduction in magazine capacity and compatible with the standard bolt. 300 AAC BLACKOUT was approved by SAAMI on January 17, 2011. At 300 meters, 300 BLK has 16.7% more energy than 7.62x39mm. Max effective range, using M4 military standards for hit probability, is 440 meters for a 9 inch barrel, and 460 meters for a 16 inch barrel. 300 BLK from a 9 inch barrel has the same energy at the muzzle as a 14.5 inch barrel M4, and about 5% more energy at 440 meters - even though the barrel is much shorter. Having trouble finding REAL 10mm loads? We recommend you take a look at Underwoods 10mm lineup. They offer weights from 135-200 grain in both hollow and flat points. These full power 10mm cartidges and are the real deal at a price that is easy on the pocketbook. This big game bullet offers hunters consistent, tough and accurate performance. DeepCurl utilizes Speer's ability to electro-chemically bond the jacket to a lead core, resulting in great weight retention and excellent penetration to drop even the toughest trophy animals. This new 30-caliber line extension features a soft point design ensuring reliable expansion upon impact. DeepCurl rifle hunting bullets are available in numerous key calibers and weights. This load was designed for those who need a deep penetrating 357 mag. or 38 SPL load to be fired from lightweight alloy 357's and any 38 SPL revolver. Lightweight alloy 357's develop multiple problems when firing our 180gr. 357 mag. hard cast turbo charged ammo or any make of full power 357 ammo. Yet many folks want a deep penetrating "outdoor" type of load for their lightweight pocket 357's, so here it is. Whether you are shooting gators or bears in the head, this load utilizes a hard flat nosed bullet, at sufficient velocity, even from 2 inch barrels, to fully penetrate either. This load is safe to shoot in all 38SPL and 357 magnum firearms of modern design that are in normal operating condition. In the super lightweight alloy revolvers (around 11-12 oz.) the bullet will not jump crimp under recoil provided you do not subject an unfired round to more than 5 or 6 firings. In all steel guns, even short barreled ones, crimp jump is not an issue as the all steel snub nosed revolvers are much heavier than the alloy versions. The new Winchester Supreme Elite Bonded PDX1, which was chosen by the FBI as their primary service round, is now available in a full line of popular handgun calibers. The Bonded PDX1 is engineered to maximize terminal ballistics, as defined by the demanding FBI test protocol, which simulates real-world threats. The new Winchester Bonded PDX is offered in 9mm, 40 Smith & Wesson, 45 automatic and .38 special. Unaffected by thick and heavy clothing, including denim and leather. Patented FTX bullet delivers superior controlled expansion and large, deep wound cavities over a wide range of velocities. Clean burning and stable propellants reduce recoil in lightweight handguns, and perform consistently in all temperatures. Minimal muzzle flash protects night vision. Feeds reliably in all pistols. Federal's Personal Defense handgun ammunition, which features a jacketed hollow point, gives you a reliable bullet that creates quick, positive expansion with proven accuracy. 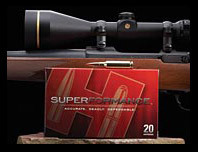 Proven bullet known for great accuracy and stopping power. Nylon-coated design eliminates barrel fouling and reduces airborne lead. Velocity increases of 100 to 200 fps from EVERY gun, in EVERY major hunting caliber WITHOUT increases in felt recoil, muzzle blast, fouling or loss of accuracy. Superformance is rocket science. Finally 38 special ammo that will fully expand at lower velocities. Why didn't someone think of this sooner? 38 revolver enthusiast can finally purchase a hollow point and trust it. The new speer short barrel ammo claims that these self defense hollow points can be counted on to expand reliably every time when shot from a short barrel firearm, and that sounds just dandy to me. Winchester® Ammunition is introducing one of the most innovative shotshell loads in the brand's 144-year history. The new Blind Side™ ammunition combines ground-breaking, stacked HEX™ Shot technology and the new Diamond Cut Wad in the most deadly Winchester waterfowl load available. Loaded with 100 percent HEX™ Shot, you get more pellets on target, a larger kill zone and more trauma inducing pellets than ever before, meaning quick kill shots. "This is a superior duck and goose load that we've spent a tremendous amount of time designing and perfecting", said Brett Flaugher, vice president of Sales and Marketing for Winchester Ammunition. "As the industry leader in innovative new products, this product is without question, a quality product that waterfowl hunters can shoot with confidence." Ted Nugent Hi-Performance Hunting rifle ammunition features Barnes® Bullets, using Triple-Shock X (TSX™) and Tipped TSX™ (TTSX). Pistol calibers use Speer Uni-Cor® bullets. The product line should be available in July.